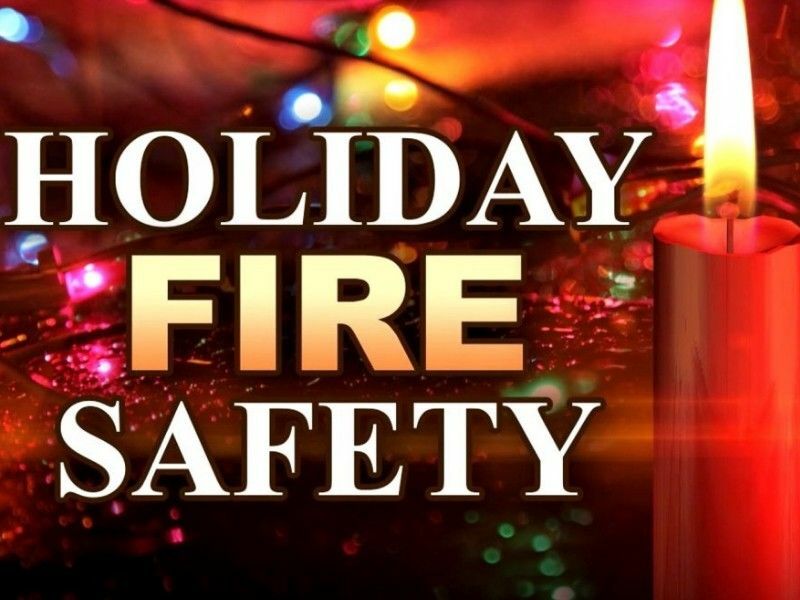 As families decorate their homes for the holiday season, ReadyWisconsin is urging everyone to keep fire safety in mind. “Decorations can help to brighten up the holidays for many people, but it’s important to make sure they are installed correctly so they don’t become a hazard to your safety or your home,” urged Wisconsin Emergency Management Administrator Brian Satula. With both live and artificial Christmas trees, it’s important to take extra safety precautions when placing them inside your home. It only takes a few seconds for a tree to ignite into a large blaze. Never place a live tree close to a heat source, such as a fireplace or heat vent. The heat will dry out the tree, causing it to be more easily ignited by heat, flame or sparks. Be sure to water your live Christmas tree every day. According to the U.S. Fire Administration, electrical problems cause one out of every four Christmas tree fires. Make sure you inspect holiday lights each year and replace string lights that have worn or broken cords or loose bulb connections. Follow manufacturer’s instructions for limits on the number of light strands that can be connected. Remember some lights are only for indoor or outdoor use, but not both. When it comes to holiday lights, it’s not uncommon to find a shortage of outlets to plug everything in. While it may be tempting, avoid overloading electrical outlets. Do not link more than three light strands unless the di­rections indicate it is safe. Make sure to periodically check the light strands while those decorations are in use. If they are warm to the touch, unplug and remove them. Be sure to turn off all lights on trees and other decorations when going to bed or leaving the house. Unplug extension cords when they are not in use. Most home fires caused by candles occur on Christmas Eve, Christmas, and News Year’s Day. Never leave a burning candle unattended, and make sure they are kept at least 12 inches away from things that can burn. Instead of light­ing real candles, consider using battery-operated flameless candles - that way you won’t need to worry about forgetting to blow them out, or the candle being accidently knocked over by pets or children. To help alert you to fire danger, make sure you have working smoke alarms installed on every level of your home. Test them monthly. Keep them clean and equipped with fresh batteries. Know when and how to call for help and remember to practice your home escape plan.